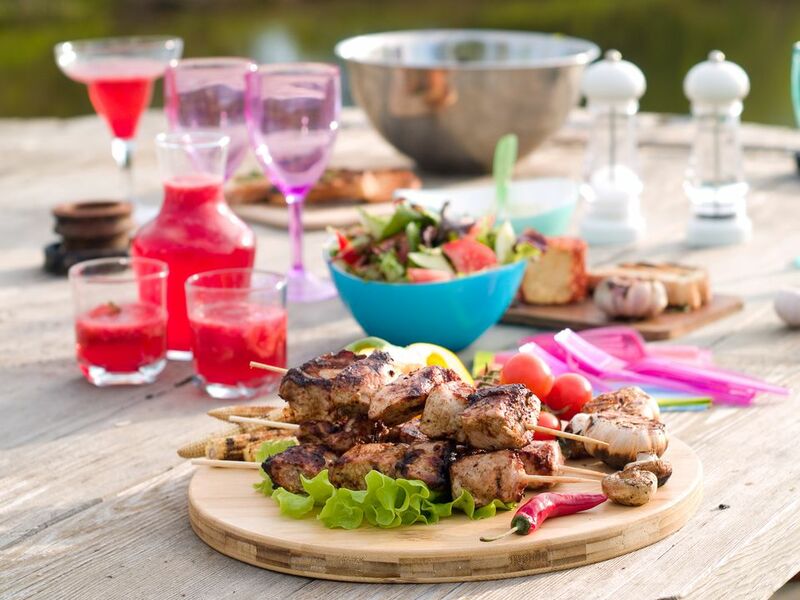 The backyard cookout is one of the great traditions of summer. While stocking your cooler with ice-cold beer is nice, you can take that a step further and mix up a refreshing, tall cocktail or two. These drink recipes are ideal for any barbecue, no matter what food you're tossing on the grill. They're filled with fresh, fruity flavors and require very little work, so you can enjoy the party alongside your guests. A cookout would not be complete without a great lemonade drink and this is an easy favorite. The strawberry berryoska is a perfect way to enjoy the sweet taste of garden-fresh strawberries and you'll have fun mixing it up. The recipe puts a fun twist on a strawberry lemonade, asking you to do nothing more than muddle the juice out of the berries. Top it with a great vodka and homemade lemonade, and you're done. Cool, refreshing, and very easy to mix up, rather than cracking open a cold one and drinking it as is, add some lemonade and enjoy a shandy. It's one of the most popular beer mixed drinks and one that everyone will enjoy. All you need for a shandy is your favorite beer and lemonade. This simple duo can be enhanced in many ways: choose a hoppier, lighter, or flavored beer or add extra fruit to your lemonade. The combinations are endless and very fun to explore. 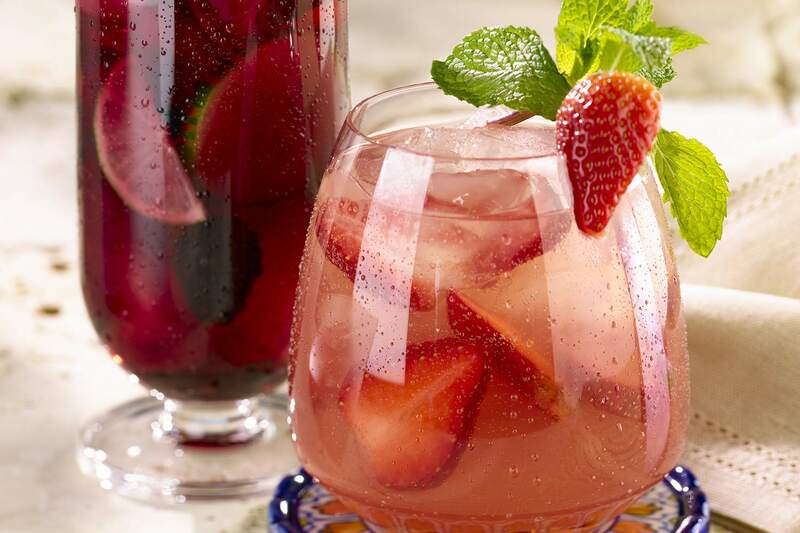 Sangria is a staple at summer parties. Rather than go with the more common red wine recipes, lighten things up and mix up this stunning white peach sangria. Made by the pitcher, this fruity recipe pairs a Pinot Grigio with a mango rum. It gets the peachy flavor from peach schnapps and requires lots for fresh citrus fruit. That mix is best when left to marry overnight and it's finished off with citrus soda right before the party. The Hawaiian iced tea is a fruity, tall drink that's sure to get your patio party started. It's easy to make but you will need five bottles of booze to pull it off. A member of the Long Island iced tea family, this tropical version packs the same punch​ but swaps out the cola for pineapple juice. This creates a lighter flavor profile that is excellent with any grilled food. When it comes to thirst-quenching tequila cocktails on a hot summer day, few drinks can rival the paloma. It has a wonderful flavor that complements grilled meats, veggies, and fruits and it mixes up in minutes. For this recipe, you'll simply pour a shot of tequila, add a little lime juice, then top it off with grapefruit soda. While a blanco tequila is a nice choice, you can back up that sparkling citrus with an aged reposado to give it even more depth. Grab the raspberry vodka because this quick cocktail is going to be a fantastic addition to your barbecue. It adds a fruity twist to the vodka press and you can use it to show off your bartending skills by rolling the drink as you mix. The raspberry press simply asks you to add a splash of two clear sodas to a shot of raspberry vodka. It may be simple, but it is very satisfying and a lovely drink that everyone's sure to enjoy. Could there be a drink more appropriate for a cookout than one named the beer, bourbon, and barbecue cocktail? If you're up for a true drinking adventure, this is the recipe for you. The rhubarb collins is a great twist on a classic gin cocktail. It's a fascinating taste you won't want to miss, especially if you haven't had the pleasure of drinking rhubarb. The sweet taste of this iconic summer vegetable comes from a homemade rhubarb syrup and rhubarb bitters. That pair is accented with a great gin, lime juice, and cardamom bitters to create a cocktail that is nothing short of extraordinary. An incredibly easy drink to mix up, the UV liberty is the ultimate blue cocktail for summer. It will certainly make a splash at your pool party. This recipe is constructed much like a root beer float, but all the ingredients have a lighter, fruitier flair. It begins with a scoop of raspberry sherbet, which is topped with that alluring UV Blue Vodka and lemon-lime soda. It's as beautiful as it is delicious. Papaya and tequila go together like burgers and fries. The two are united in a fantastic cocktail called the papaya smash, a true delight for grilled kebabs, veggie burgers, or smoked chicken. The star of this lovely cocktail is the combination of an añejo tequila with fresh papaya. It is sweetened with agave nectar and gets a fancy touch with the bitter-sweet orange of Aperol liqueur. Add orange and lime juices and you're left with a very stimulating little cocktail.